Issue #219 of Beneath Ceaseless Skies is now available, completely free on their website. 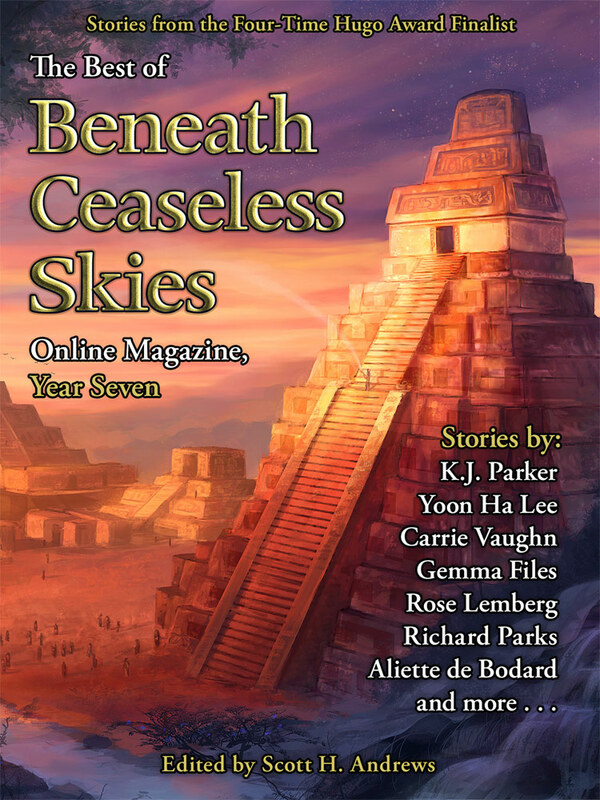 It is dated February 16, 2017 and features fiction by Grace Seybold and Jeremy Sim, an Audio Fiction Podcast by Margaret Killjoy, and a reprint by Cory Skerry. Jason at Featured Futures was enthusiastic about the Seybold. The imagination brought to bear in conceiving this doughty protagonist and this amazing world and the entities she interacts with was extremely impressive… it was fascinating throughout and will live in the memory for quite some time. Read Jason’s complete review here. 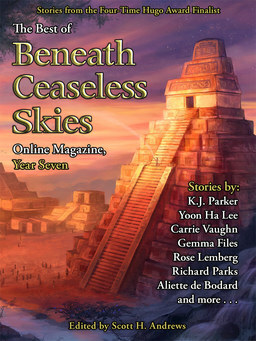 Here’s the complete Table of Contents for issue 219. Black Jonas secures Essie, his pleesaur, to a ring occupied by a massive, rusted droop-chain and walks down the promenade, noting the old storefronts. Brackysaur bays still line the boardwalk where land meets canal, big ol’ rectangular cutouts in the once-white stone, used for loading and unloading back in the days of the dinosaur riders. Sal stood alone in the field, feeling the absence of her friend’s touch. Being open to death was the cost of living free. With the clawmarks as a warning, I’d slept in my clothes. Read issue 219 online completely free here. 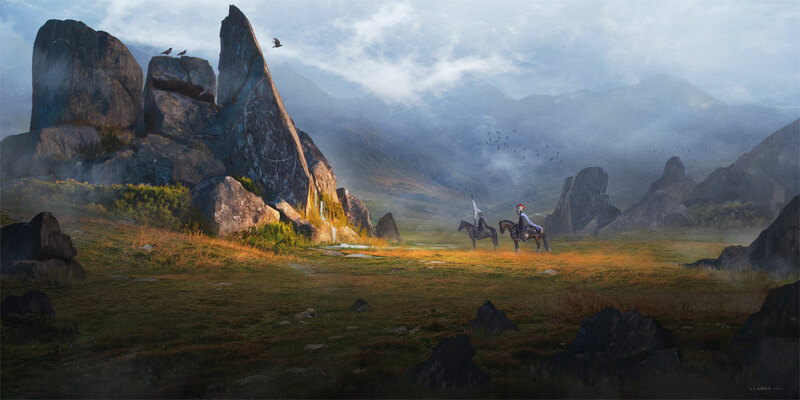 This month’s cover, “Source,” is by Florent Llamas. 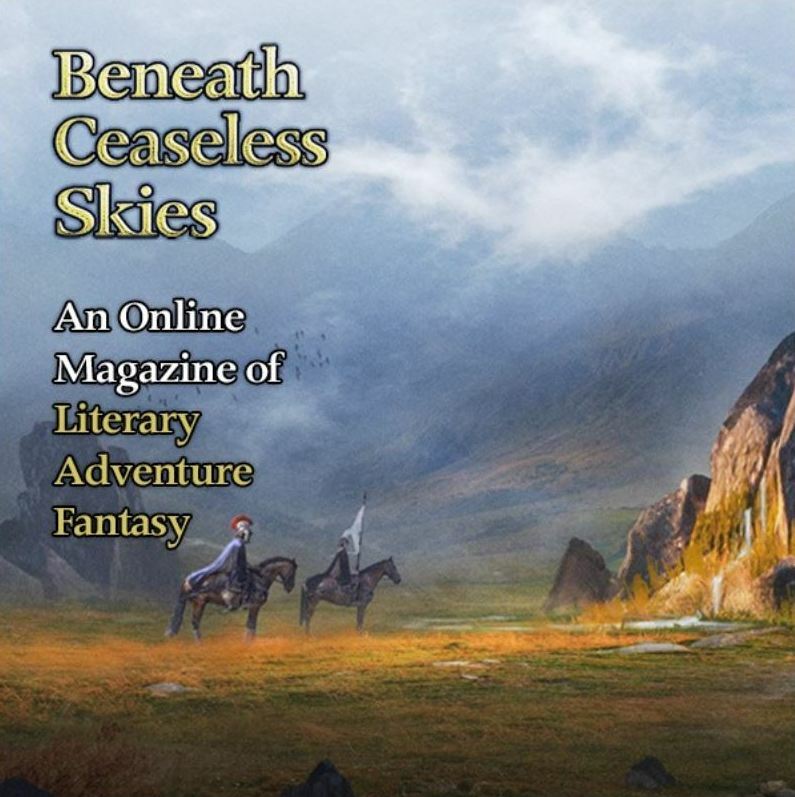 We last covered Beneath Ceaseless Skies with Michael Penkas’ review of issue #217.